Clad windows can be a contractor's dream come true. 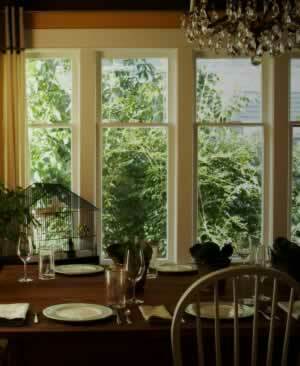 Many clad windows can be created at the factory to your specifications, which means they arrive ready to install, complete with paint in your chosen color and trim already added or otherwise ready to attach. This can reduce the time your contractor spends in installing the window, and that equals money saved for you. However, there is a price to be paid for convenience, and you will probably pay more for clad windows than you will for traditional replacements. Clad windows can meet all your needs, which means they can be worth the money! Besides having the beauty of wood on the inside and the versatility that comes along with that, you will also have the durability and convenience of vinyl or aluminum on the outside. The best of both worlds is available in vinyl clad or aluminum clad windows!